With companies such as Apple and Google amp-ing up their Smartphone and Mobile Application Marketplaces, other key players in the Smartphone and Mobile App industry are now taking action to increase awareness and interest for their own companies to ensure they do not get left behind in the growing Smartphone and Mobile Application Industry. Two companies which have decided to dedicate more focus and attention towards their mobile application development programs are Nokia and Microsoft. Both of these companies have taken steps forward in the past few years to improve the Smartphone’s and Mobile Application Marketplaces/Applications within their mobile app marketplaces but they have failed to keep up with the two major players in the game – Apple and Google. Concern starting growing that Nokia and Microsoft may not be reaching their full potential in the Smartphone and Mobile Application sector, they have recently announced that they will be investing up to $24 million in a new mobile application development program over the next three years. The objective of this investment for Nokia and Microsoft is that they are hoping that by investing money into a mobile application development program, it will raise interest for mobile application developers to want to create mobile apps for Microsoft’s Windows Phone Platform and Nokia Smartphone devices. This mobile application development program has been named AppCampus and it is expected to kick-off in May of 2012 at the Aalto University in Finland. Even though the AppCampus program is already funded up to $24 million, a few mobile application developers and mobile application “experts” believe that the amount of money invested is not enough to support the growing industry of mobile applications. One mobile application developer recently stated: “Yes, I agree that it is a good idea that major companies such as Nokia and Microsoft are willing to donate millions of dollars into a mobile application development program for mobile app developers but this industry is growing so fast and there is so much demand for this billion dollar industry, I believe these companies must invest a lot more than millions in order to see revenue profits in the billions – which is certainly possible the way this industry is growing”. The AppCampus Program will be open to students and mobile application developers from all around the world and it will give the students and mobile app developers the opportunity to get trained and learn about mobile technology, mobile application designs and mobile app usability. The students who are enrolled to become mobile application developers are expected to get financial backing without the need to give any equity interest to the investors and they will also receive hands on coaching throughout the program. 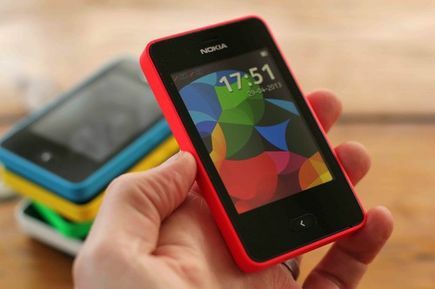 The AppCampus program will focus strictly on mobile application development for the Windows Phone but the program will also cover Nokia’s platform Smartphones, including Symbian and Series 40. Currently Microsoft’s mobile application marketplace has about 70,000 mobile applications available for download on their marketplace but they are far short from the half a million mobile applications which are available on other mobile application marketplaces such as Apple’s iTunes Mobile Application Marketplace and Google’s Droid Mobile Application Marketplace. The mobile application industry is certainly heading in the right direction and Nokia and Microsoft are making a wise investment by deciding to focus more of their attention on developing their own mobile application developers in-house to create mobile applications for the Windows & Nokia Mobile Smartphone Platforms. Only time will tell how successful this investment will be and until then, we can only hope for more mobile applications to be released into the marketplace.